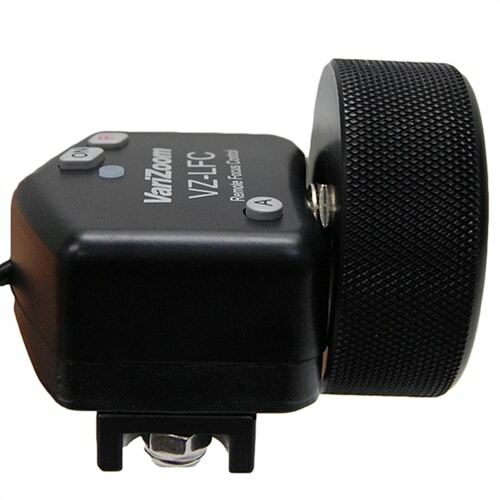 VZLFC Precision Electronic Follow Focus for Canon C100 / C300The VZLFC is the only controller of its kind for the Canon C300 and C100 (EF-mount). It connects to the 2.5mm “Remote” port on the camera body and allows you to control focus with great precision from a distance using our proprietary LANC encoder technology. Whether you need to make very fine focal adjustments or quickly shift from near to far, the variable speed control smoothly adjusts the focus without any chatter or jumpy response. This controller also offers record, cam on/off, and push auto iris, as well as an indicator light for record status, low battery, etc. 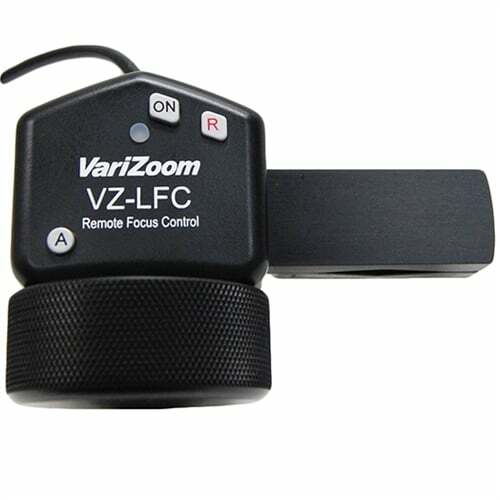 The VZ-LFC electronic follow focus requires no battery (it taps power from the camera) and can be operated from longer distances using our optional extension cables. Building on our extensive experience in designing LANC controls, the VZ-LFC is the first and only electronic rotary follow focus that works with the camera’s built-in electronics. Using the 2.5mm remote port and the camera’s native firmware, our proprietary LANC encoder knob adjusts focus from extremely slow to quick rates on demand. For remote focus control, this is as close you can get to having your hand on the lens without spending thousands on an external motor drive system. 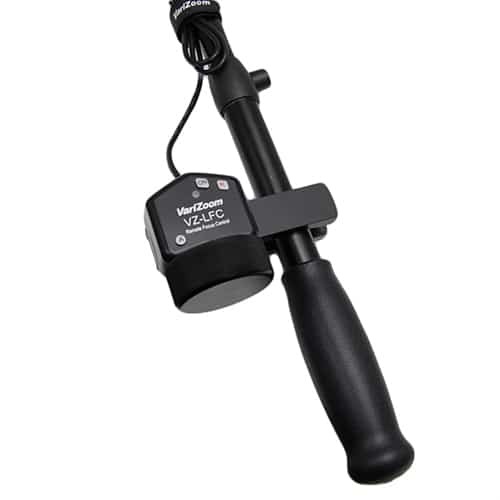 The VZ-LFC electronic follow focus is ideal for use on jibs, tripods or other setups where you can’t reach the focus ring (or don’t want to touch the lens). Whether you need to make very fine focal adjustments or quickly shift from near to far, the variable speed control smoothly adjusts the focus without any chatter or jumpy response. This controller also offers record, camera on/off, and push auto iris, as well as an indicator light for record status. The VZ-LFC follow focus for Canon C300 and C100 requires no battery and can be operated from longer distances using our optional extension cables. Depending on the version and lens combination, you may need to go into the C100/C300 menu and change the AF mode to "One Shot" to get the focus control to work properly. 4.15" x 3.95" x 2.65"